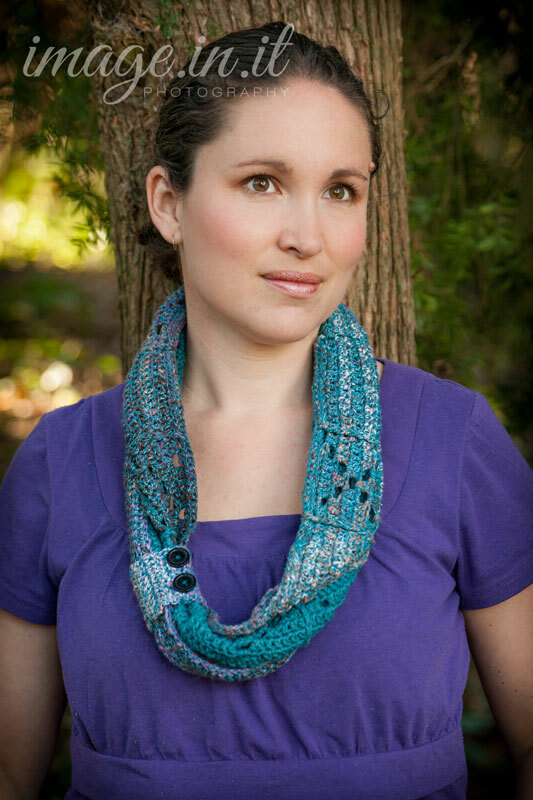 I’m really happy to be featuring Kristin, from Kristin in Stitches, for another guest post this week. If you saw her beautiful Fingerless Flower Mitts Crochet Pattern earlier this year, then you know that she’s got some unique and fun designs up her sleeve! I’ll be busily working away finishing all the final prep work for the Jennika MCAL over the next couple of weeks…..and possibly making some pumpkins (check back next week on that, hehe). So you’ll be seeing a few awesome free patterns from some great guest designers during that time. So we can kick off the fun with this gorgeous free crochet infinity scarf pattern, the Diamond Infinity Scarf. This scarf has a really lovely texture, and compliments any outfit. 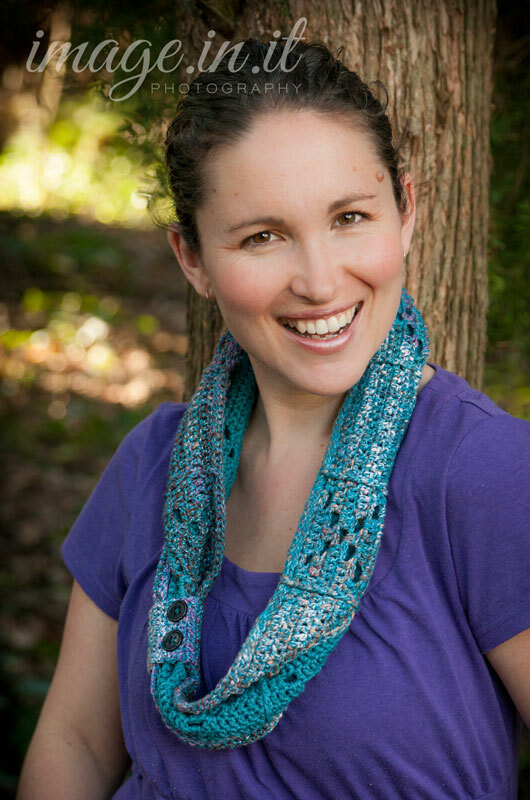 Thank you to Kristin of Kristin in Stitches for contributing this adorable free infinity scarf crochet pattern as part of my Guest Contributor Program! 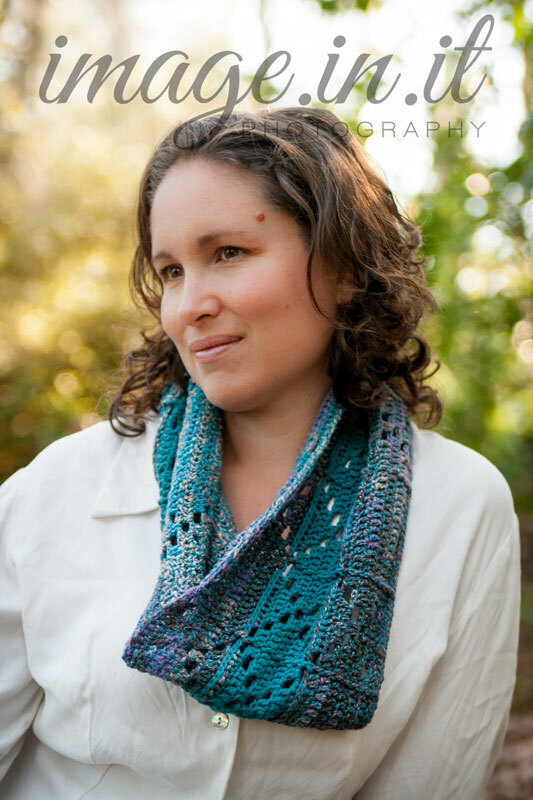 Kristin started crocheting about 6 years ago after a friend told her how much faster it was than knitting. She gave it a go and discovered a new passion. Now a mother to 4 beautiful children, Kristin doesn’t have a lot of free time, but almost all that she has is spent designing gifts for friends and family. In March 2016 she decided it was time to start writing her designs down and sharing them with the world, and Kristin In Stitches was born. Kristin usually designs with other people in mind, which gives her patterns variety. You’ll never know what she’ll come up with next, sometimes traditional, sometimes quirky, who knows! The one thing that is consistent, is that every pattern is designed with love. That is a beautiful scarf and would love to have the pattern. Only problem unfortunately I only knit not crochet. Your work is absolutely beautiful. A lovely pattern. Can’t wait to get started! Thank you so much. Thanks for sharing! It is beautiful. Really pretty. But alas, I at this time only know how to knit.